Interested in this tour should register by sending application at least 2 months before desired start of the tour. 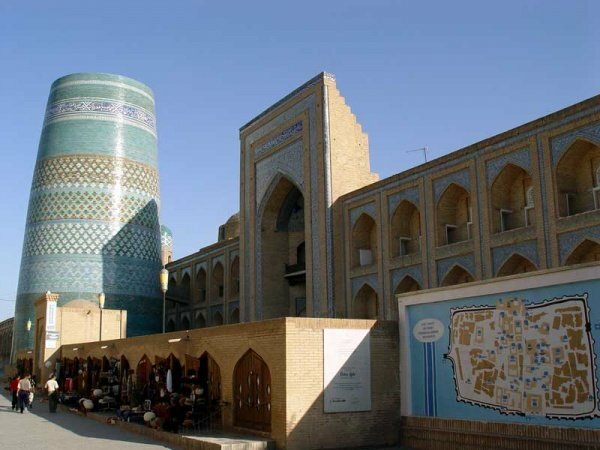 Owners and employees of travel agencies that do not offer trips to Uzbekistan, but plan to start promoting Uzbekistan as one of the destinations. One of the conditions for participation is signing a contract with Elite Tours International. The contract is subject to minimum 1 year of cooperation. If cooperation with Elite Tours International has already been established before, travel agencies do not need to meet this requirement. It is necessary that participants meet the above requirements. Moreover, please note that only one representative from each tourism company is allowed to apply and participate. Tickets for Uzbekistan Airways international and domestic flights. Tashkent. For its role as a cultural, political, scientific and business hub of Uzbekistan and being at the center of Asia, Tashkent is called “A Star of the East, capital of friendship and hospitality”. Since the independence, this city transformed very much. A lot of amazing fountains were built in parks and squares of the capital. Architecture in national style of newly built constructions leaves strong positive impression. The work during independence was not directed to improve just appearance of the city. In addition, infrastructure has improved substantially. Samarkand. Samarkand is the second largest city in Uzbekistan in terms of …. Its history dates back B.C. era. The city is as ancient as Rome or Babylon. Starting from 25 centuries ago till modern time, Samarkand came through one of the greatest events in history: ruling of Alexander the Great, Arabic Conquest, invasion of Genghis-Khan and times of Tamerlane’s governing. Because of such invasions, Uzbek culture was enriched with elements of other cultures and traditions: Indian, Mongolian, Iranian, Eastern, Western. In 2001UNESCO declared Samarkandas the World Heritage site. Bukhara. Bukhara is the leaderaccording to number of titles among Uzbek cities: “Bukhara the Noble”, “Bukhara the Holy”, “Pillar of Religion”, “Dome of Islam”. Such variety of names for Bukhara is a sign of world interest. Indeed, this city being one of Uzbek most ancient cities and a major trade city of the Great Silk Road can offer a lot to amaze. Khiva. Khiva is the only city in Uzbekistan that was able to preserve its original architecture back from ancient times. That’s why this entire city is considered to be a museum. In year 1967 Khiva received a status of a town-reserve. In 1990 UNESCO announced that Ichan Kala is a historical monument of world significance. Ichan Kala is an architectural complex of 12th-19th centuries located on the territory of Khiva. Arrival to Tashkent in the evening. Meet and greet by our guide. Transfer to the hotel located in the center of the city. Lunch in the hotel.Sightseeing in Tashkent.Dinner in local restaurant with amazing show program.Overnight in Tashkent. Breakfast in the hotel. You feel real medieval spirit while excursion in winding streets of Old Town. The highest minarets of Central Asia- Minaret Kalyan, gorgeous Ark fortress indisputably amaze you. After lunch you will visit Emir’s summer residence- Sitorai Mohi Hosa and many more. Dinner in the local restaurant.Night in Bukhara. Breakfast in the hotel. Full day SS in oldest town and part of Great Silk road. Lunch at local restaurant. Your dinner will be served in Nodir Devan Begi Madrasah and you will enjoy national dance show. Overnight in Bukhara. After breakfast in the hotel transfer to railway station and then head towards Samarkand (08.05).Lunch in the restaurant upon arrival (11.00) in Samarkand. Check into hotel. Some fresh up in the hotel.Sightseeing in Gur Emir Mausoleum and then gorgeous Registan Square.Dinner in the restaurant.Overnight in Samarkand. Breakfast in the hotel. 12:00 Check out from the hotel. Transfer to the airport.